I enjoy hearing stories, especially from the veteran TEK collectors, on how they put together their larger collections back in the early days of Ebay. How much of your collection came from opening boxes? Did you use any of the Usenet forums way back in the late 90s? Ebay used to allow direct messages between sellers/buyers if I recall. These are fun stories to read. Check out the second post on this thread. It was just 2012 when Griffey Diffractors were going for less than $40 on ebay. Thanks to a seller on ebay for parting with one of the cards in his 1998 TEK lot that didn't sell for selling me a Moises Alou Card # 55 pattern# 55. I completed several extra sets of pattern# 1s and same Card#/pattern# 98 TEKs in addition to my completed 8100 cards. 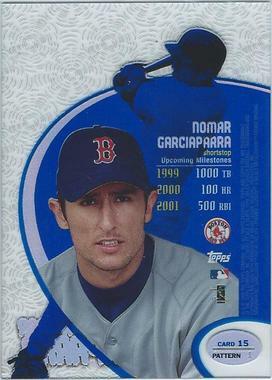 I did a ridiculously time consuming quality check a few years ago and have 20 1998 TEK Id like to improve the condition of as the remaining 8080 cards stored in 90 Ultra 10 sheet 90 card binders are mint/near mint with no scratches, water marks, black dots, peeling of the silver ovals on back containing the card #/pattern # or misalignment of the card #/pattern# within that silver oval. Its an OCD thing. In addition for the fun of it while building the 8100 card set I also started picking up player uniform # 1998 TEK cards and need one more card (a Mussina card # 80 pattern# 35) to complete a 90 card Player Uniform # set. Last edited by togaman; 11-10-2018 at 05:40 PM. 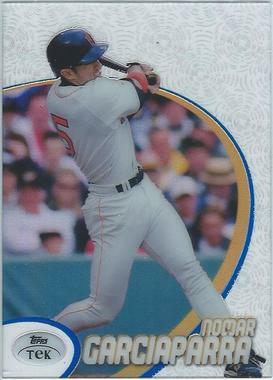 Thanks to a seller on ebay for parting with one of the cards in his 1998 TEK lot that didn't sell for selling me a Moises Alou Card # 55 pattern# 55. I completed several extra sets of pattern# 1s and same Card#/pattern# 98 TEKs in addition to my completed 8100 cards. 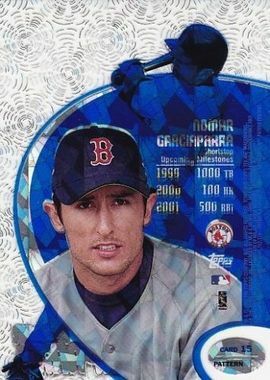 I did a ridiculously time consuming quality check a few years ago and have 20 1998 TEK Id like to improve the condition of as the remaining 8080 cards stored in 90 Ultra 10 sheet 90 card binders are mint/near mint with no scratches, water marks, black dots, peeling of the silver ovals on back containing the card #/pattern # or misalignment of the card #/pattern# within that silver oval. Its an OCD thing. In addition for the fun of it while building the 8100 card set I also started picking up player uniform # and need one more card (a Mussina card # 80 pattern# 35) to complete a 90 card Player Uniform # set. Last edited by togaman; 11-10-2018 at 05:42 PM. I won one last night. I’m hoping to get a little help here. I stumbled upon a 1998 Topps Tek Jeter #14 Pattern 56. I’m new to baseball collecting and can’t tell whether it is or is not a defractor. It shows rainbow reflection in the light like a Chrome refractor, but the semi-ovular photo background does not have a pattern to it that looks, to me, like cracked ice. Is there an easy way to know for sure whether this card is a defractor? I tried to attach a photo, but no dice. Thanks! @togaman - drat... I missed the Darin Erstad's. I'm still missing: 4, 29, 30, 33, 60, 68, 71, 81, 83, 86 + most diffractors.